The ever expanding world of golfing has brought much joy and fulfilment to people all over the world. From achieving childhood travel dreams to playing on the most beautiful golf courses either as professionals or for recreation. 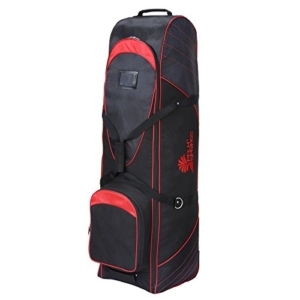 As a golf lover, we are sure golf travel bags have played a key role in helping you. This is because they help to protect your clubs and other accessories from physical damage. Apart from this, they also make travelling very easy for you because of easy packaging and care. The benefits of buying the right Golf travel bags cannot be over-emphasized. The right golf travel bag can make a lot of difference in performance. However, before you get one, there are certain questions you should ask yourself. What items will I be using the travel bag to carry? You need to know whether you will be carrying it with other stuff such as the golf balls, gloves, or shoes. Is it soft or hard? This helps depending on your means of transportation; whether by air or by road. What are the measurements and design of the travel case? Your aesthetic preferences will help you in choosing what you want. The product reviews below will help you decide the golf travel bag that is best for you. The CaddyDaddy Golf Constrictor provides you with everything you are looking for in a golf travel bag. Among its features are in-line skates which help you to perform any push or pull action that you wish to. A TSA lock and lockable zippers add extra protection to your stuff. The case is deeply padded to ensure adequate cushioning of your gear. Depending on the particular design you want, the price is slightly different but still decent when compared to the value it provides. The quality is top-notch, providing maximum security to your club and gear. It comes along with 1 year warranty. Its 1800D material is extremely tough. The bag may predispose you to the effects of chemicals such as TDI. A bump can easily damage the in-line wheels. You have to be careful with it. If you are one who does no care much about brand names, then this is definitely for you. The Amazon Basics has a plethora of super cool features that would leave you feeling lucky to own one. 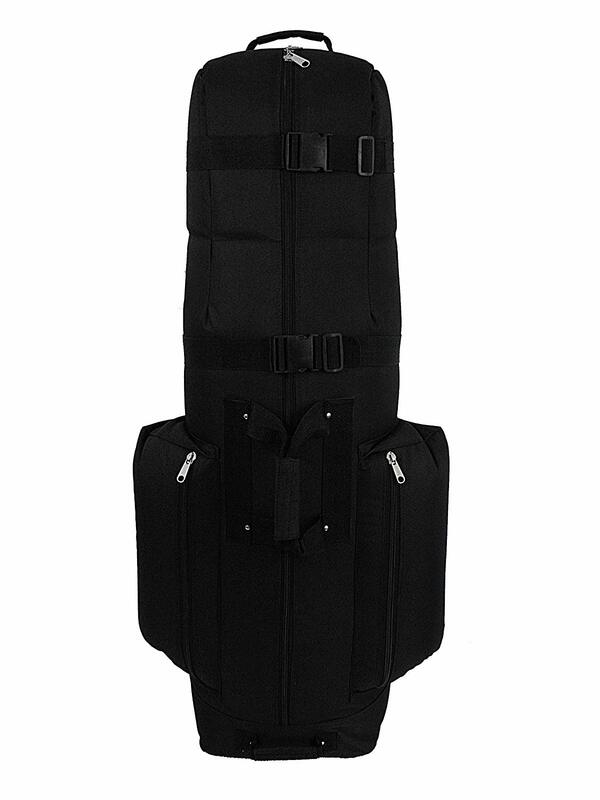 Just to mention a few, it holds a set of golf clubs, is made of waterproof black canvas which protects your stuff. It also has an integrated ID slot for your ownership. It has a lot of straps and fasteners to further secure your clubs and gear. Its smooth rolling wheels makes it so easy to drag along with you. It goes for a great price! It is made of high quality nylon material. Its stress points are strengthened to prevent wear and tear. It has several zippered partitions for comfort and storage of extra gear. It has smooth rolling wheels. It is not a very well-known brand. The bag is not firm enough to stand up on its own. You would be quite impressed to know about the Athletico Padded travel bag. This bag can be used both on the plane and in your car. It has been built with 5mm padding all over, to reinforce it for air travel. The Neoprene handles make grip the most comfortable it can be. If you are worried about safety, worry no more because the metal zipper pulls can lock seamlessly for increased safety. Its shoulder strap is removable and is made of metal. All these features makes the Athletico Padded Golf bag very versatile in terms of function and carriage. It is lightweight, which makes it very easy to carry. There is plenty of room for all your golf shoes and balls. It has neoprene padded handles. Neoprene is synthetic rubber, so it is very flexible and chemically stable. The straps cannot handle much weight. It does not have wheels. 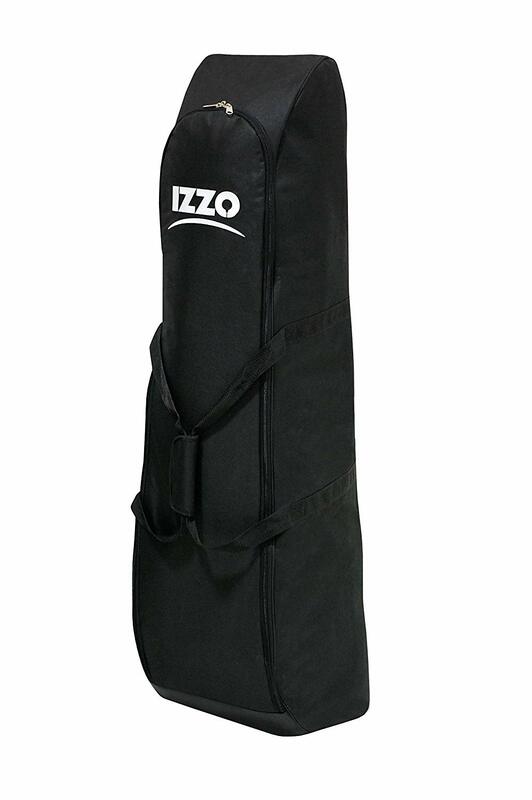 If you are on a budget, or do not have so much money to get a good quality golf travel bag, the Izzo Golf Padded Travel bag will come to your aid. The Izzo Padded Cover comes with a very tough vinyl base which offers support and security to your clubs. It also has carry straps, which make it all the more comfortable. Being able to expand up to 50 inches high, and collapsing up to 7.5 inches offers so much versatility to you as the user. All these come along at a decent price, making it one of the best deals you could get. It is lightweight. This means it is very convenient to carry. It is expansible and collapsible. This variation in size helps with packaging, transport, and carriage. It is ideal for occasional travel. It has a padded carry strap which gives you more comfort. It does not have much support near the club heads. Don’t you love a scenario where you do not have to bend down to start unloading your travel bag? This is exactly what the Sun Mountain Golf CLUBGLIDER Meridian bag provides with it, and lots more. It has rollers to drag along any terrain you find yourself on. The rollers ensure smooth handling. 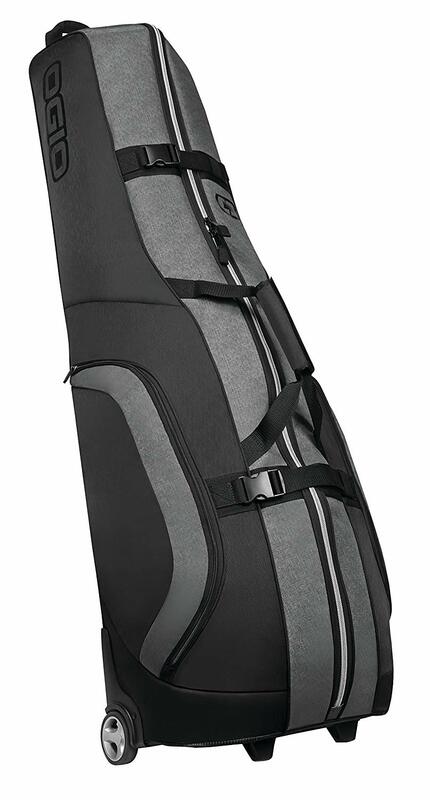 Easily the largest product of the CaddyDaddy brand, the Golf Phoenix comes with great padding for comfortability, adjustable straps for ease of use, shoe pockets as an extra space for your gear, wheels for easy handling, a high impact EVA for protection and lots more, providing a great experience for the user. It offers one year warranty. 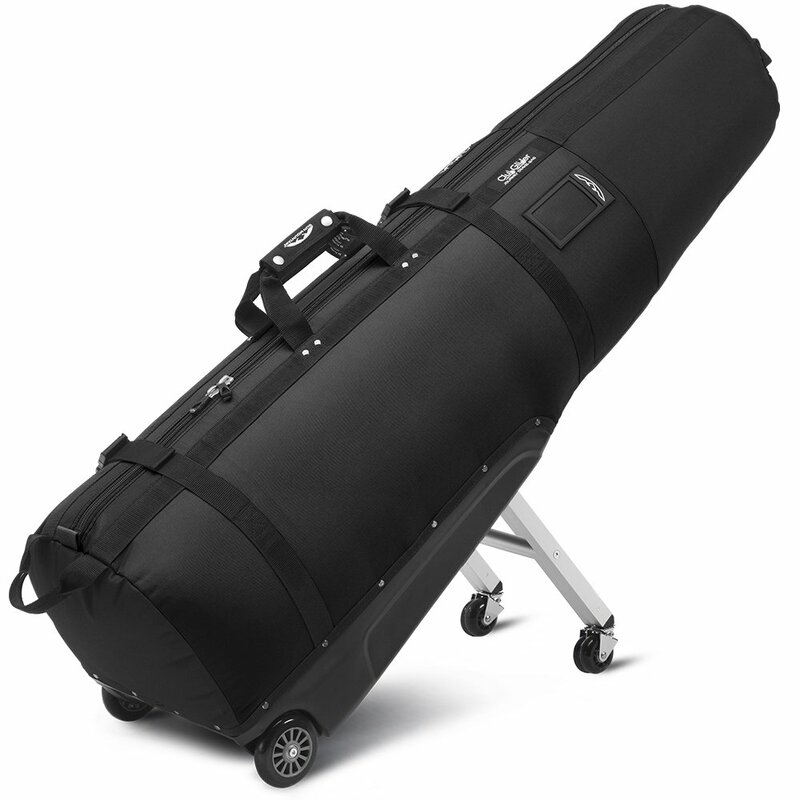 The CDX-10 is also one for the air trips because it has super durable 600D Nylon make, with curb rails that are heavy duty. Additional oversized shoe pockets help to provide extra space for your gear. The clamps are adjustable, thereby helping the clubs to be safe. The heavy padding provides cushion for your clubs and gear also. It has so much capacity that it can put up with 10 inches of cart bags. It is easily collapsible for stress-free storage. It costs more than other counterparts. Pivoting caster which assures a wide range of movements. The bag does not come with a stiff arm. This particular travel case is tough and has been built to survive the most severe forms of mishandling. It is made up of 600D heavy duty grade polyester material, strong zips, and burst proof strapping, all for this purpose. The wheels are integrated for the best convenience. It also has a large compartment which gives you enough room for all your gear. 600D heavy duty polyester material assures durability and resilience. Comfortable fit and large compartment. It does not have much padding at the top. Being touted as the bag that swallows all other bags, the OGIO 2018 Mutant has such a large compartment, that you can virtually carry all your gear inside without any fuss. Its base has been reinforced with protective rails to ensure the bag is sturdy. A cinch down strap has been inserted internally to secure the bag, while also providing easy access to it. All these make the OGIO 2018 Mutant a great option. Large wheels for easy rolling. 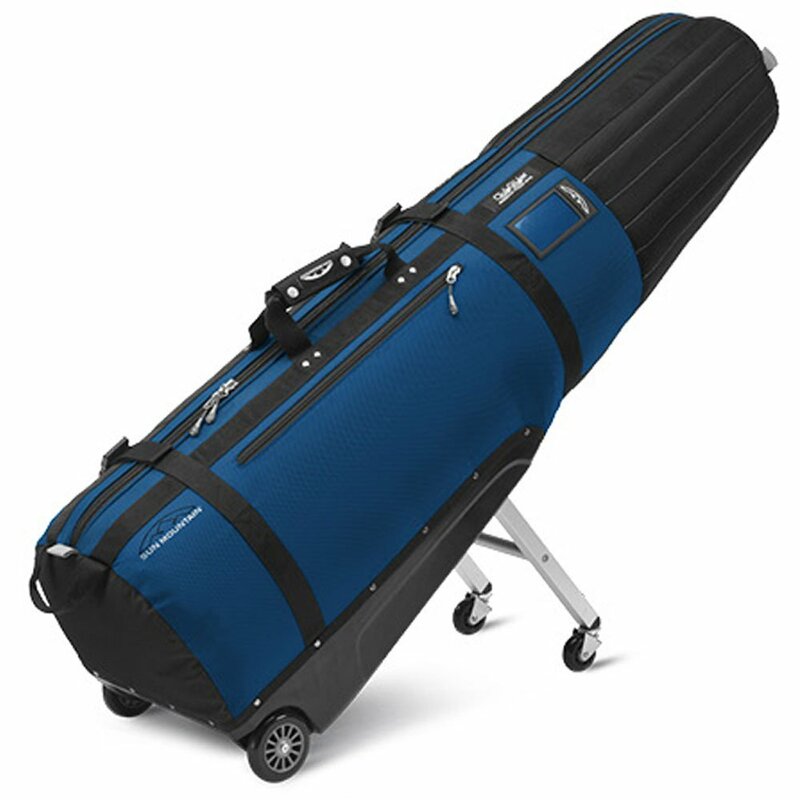 Having seen the various features of the CaddyDaddy Golf Constrictor 2, AmazonBasics Soft-sided Golf Travel bag, Izzo Golf Padded, Athletico Padded, the Sun Mountain CLUBGLIDER, the Palm Springs, OGIO 2018 Mutant golf travel bags etc. determine what items you want to carry in your travel case. The weight, size, durability, material made of, the paddling, luggage wheels, luggage locks, warranty, general appearance and design should help you in choosing what you love. Whichever decision you make, you will find it here in our collection. Make a wise investment today. Contact us now!